[i:Vibes] Rank1 Delivers Theme Song for Trance Energy 2009! Rank1 Delivers Theme Song for Trance Energy 2009! Like with previous editions, the 2009 edition will be accompanied by a theme song and for this next edition the honour is to Rank 1 with their new single ‘L.E.D There Be Light’. With ‘L.E.D There Be Light’, Rank 1, formed by Benno de Goeij and Piet Bervoets, score their second theme song for Trance Energy, as earlier their single ‘Beats At Rank-1 Dotcom’ was used for the 2005 edition. It wasn’t actually planned that the theme song would be revealed already. However as the first version of the track leaked through the Trance Energy website Monday last week, the decision was made to release this first version with immediate effect. The worldwide radio premiere took place last Thursday during Armin van Buuren’s renowned radio show ‘A State of Trance’ and Tiësto used it as his openings record during his performance last Saturday during the Dance4Life fundraiser at The Sand in Amsterdam. Rank 1 has been a phenomenon within the trance scene for years. With hits such as: ‘Airwave’, ‘Such is Life’ en ‘Awakening’ they established themselves among the key players in the scene. Delivering theme songs is not new to these guys as many of their singles and remixes have been selected to feature as theme song throughout recent years. 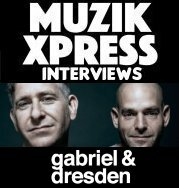 The biggest highlight can considered to be their remix for ‘Superstring’ by Cygnus X, which was used for the very first Sensation event back in 2000. Furthermore their songs were used for events such as: Innercity (Airwave), Trance Energy (Beats @ Rank-1 Dotcom), Sensation (Such is Life, Anthem 2003 and of course Superstring)`. The first version of ‘L.E.D. There be Light’ is now available through all dance specialised download stores. In January the official releases will follow containing a full packages with new mixes.